In the business of trade shows, effective marketing is a must. From direct mail pieces and e-mail streams to creative show experiences, the task isn’t for the faint of heart. 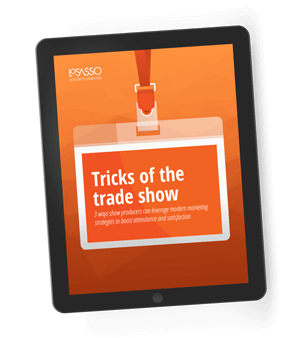 Over the last few years, we’ve discovered what works—and what doesn’t— while helping clients market their trade shows and conferences. Here are our three ways show producers can leverage modern marketing strategies to boost attendance and satisfaction.